In a technology dependent society that is continually changing and upgrading, the last thing anybody wants to hear is that your cellphone and other WiFi devices are hazardous to your health. Join Jason Hartman as he interviews journalist, William Thomas on the medical consensus of wireless use. Will explains how electromagnetic radiation is emitted from cellphones, communications towers, wireless routers, Bluetooth devices, portable phones, and now Smart Meters that the utility companies are installing to wirelessly read water and electric usage is triggering and exacerbating many of the diseases and ailments seen around the world today. 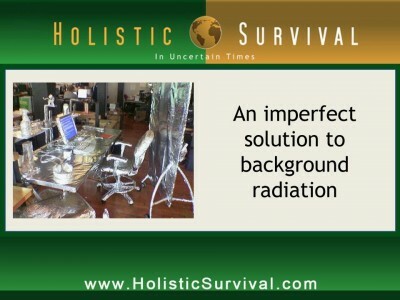 For more details on the research and effects, visit www.HolisticSurvival.com. Will Thomas gives many examples of the effects of pulsing frequencies and electromagnetic radiation, such as an increase in Attention Deficit Disorder, Autism, early onset Alzheimers, headaches and migraines, chronic fatigue syndrome, and brain wiping. The damaging effects are especially harmful to children and pregnant women. Another example Will shares is that of the reaction time of drivers who engage in even two minutes of cellphone use while driving. Studies have shown that it’s not the distraction of a cellphone in use causing a higher rate of accidents, but the vibration of frequency causing a disruption in the brain, slowing reaction time to approximately that of a 70-year-old driver without a cellphone, or worse than a legally drunk driver. Many European countries are passing laws regarding cellphone and wireless use in an effort to minimize the hazards. William Thomas is an award-winning Canadian journalist specializing in health and environment. During and immediately after the Gulf War, he served five months in Bahrain, Saudi Arabia and Kuwait as a member of a three-man environmental emergency response team. The author of All Fall Down: The Politics of Terror and Mass Persuasion, Alt. Health, Scorched Earth, Bringing The War Home and Chemtrails Confirmed is the winner of four Canadian feature-writing awards. Thomas’ 30-minute video documentary Eco War won the 1991 US Environmental Festival award for “Best Documentary Short”. Excerpts from this “front-lines” chronicle of a three-man environmental emergency response team in Kuwait aired extensively on an eight-part CBC Gulf War miniseries, and have been shown on CNN and NBC television. Thomas’ writing and photography have appeared in more than 50 publications in eight countries, including translations into French, Dutch and Japanese. His editorial commentaries have appeared in The Globe and Mail, The Toronto Star, The Vancouver Sun and Times-Colonist newspapers – as well as Monday, Earth Island Journal and Ecodecision magazines. A frequent radio talk-show guest, William Thomas has also appeared on the CBC and New Zealand’s national television. He broke the chemtrails story in Jan. 1999 for the Environment News Service. His book, Chemtrails Confirmed 2004 is fully revised and up to date. His half-hour video – “Chemtrails: Mystery Lines In The Sky” – produced with artist Paul Grignon – remains the definitive documentary on this subject. · “Eco War” won the 1991 US Environmental Film Festival Award for “Best Documentary Short”. Segments have aired extensively on Canada’s CBC, as well as appearing on CNN and NBC television. William Thomas has recently released his latest book dealing with events surrounding Sept.11, All Fall Down: The Politics of Terror and Mass Persuasion, which also looks at media manipulation. The Final Crusade is an illustrated comic book drawn from AFD. Stand Down is a double-CD audio book sequel describing and documenting NORAD’s admitted stand down of US air defenses on 911. A former member of the US Navy Reserves who resigned his commission over the Vietnam War, William Thomas now lives and works in the Gulf Islands of British Columbia on Canada’s west coast. · 1998 BC Outdoors Award. Male: We can pick local markets that are untouched by the economic downturn, exploit packaged commodities investing and achieve exceptional return safely and securely. Male: He’s recorded interviews with Harry Dent, Peter Schiff, Robert Kiyosaki, Pat Buchanan, Catherine Austin Fitts, Dr. Denis Waitley, T. Harv Eker and so many others who are experts on the economy, on real estate and on creating wealth. Jason Hartman: It’s my pleasure to welcome William Thomas to the show. He is an author, journalist, lecturer and filmmaker. We’re going to talk today about several things, including cell phone hazards, chemtrails, the politics of terror and mass persuasion. William is an award winning Canadian journalist, specializing in health and the environment. And I think you will find this interview to be very interesting. William, how are you? Will Thomas: I’m very well, thank you. Jason Hartman: Well, good. It’s a pleasure to have you on the show. And, by the way, where are you located? Where are you coming from today? Will Thomas: I’m on a little island called Hornby Island, about 50 miles north of Vancouver on the west coast of Canada. Jason Hartman: Well, that is a beautiful place I’ve been to, Victoria, Vancouver Island, and of course Vancouver a few times. And it’s just a gorgeous part of the world up there. So, excellent. Well, tell us about your books and your work and your research and what happened to you. I guess you lost an important position because you exposed some of this? Will Thomas: That’s right. Yes, I’ve been an investigative journalist since the 1960s. I’ve written, I don’t know, 4 or 5 books now. Got interested in this subject, I guess compelled to dive into this subject, researching a book I was asked to write called Scorched Earth: Military’s Impact on the Environment in Peacetime and War and, to my surprise, found that the number one, and anybody who wants to win a bar bet by the way, ask the person next to the number one pollutant in the world. The correct answer is electromagnetic radiation, 10 million times higher than the EMR we’ve been exposed to as hominids evolving over millions of years. So this is literally off the charts. Human beings and other animals and plants have never been exposed to these levels of electromagnetic radiation, so from there I continue to do my research and got rid of my cell phone right away after doing that. And we’re working diligently to keep this community free of wireless relay powers. Jason Hartman: Wow. In today’s world, that’s going to be a tough sell I would assume. Will Thomas: It is. But we’re pretty strong and we’ve beat them back once. And they’re relentless. The industry is relentless. There’s so much money involved. And, as you mentioned off the top, I was a columnist for a magazine in Victoria, won awards, national awards for investigative work. I wrote a column, a health column, on cell phone dangers and a second column on the dangers of microwave cooking. That’s the food, not the oven, the food that comes out of the oven, and was called in and fired. We don’t publish that kind of information even though, as I pointed out, both columns were fully documented and pointed to a European study. Jason Hartman: Paul, since you mentioned that and it’s not really the topic of our discussion today, but on the microwaves, since everybody except probably you uses one, I heard, and it was circulating a while back, if you’re cooking those TV dinners or sort of pre-fab frozen meals, you shouldn’t have the plastic on them in the microwave because the plastic melts and leaches into the food. That seems like a pretty logical, sensible thing although I’ve done it a zillion times myself. Is there another danger beyond standing next to the microwave? I mean, the food itself when it comes out, if it’s just the food with no packaging and you just eat the food that was in the microwave, is that okay or is there a problem with that? Will Thomas: It’s absolutely not okay. It’s extremely dangerous. I’m quoting Swiss studies. They’ve been looking at this for years. Of course, the gentleman doing the studies was attacked because he found and others have since found that when the microwaves heat food of course they vibrate at extremely high vibrations, about 2.4 or 2.5 gigahertz. Giga’s billion, of course hertz is times per second. So it’s whipping the food molecules back and forth, 2.4 or 2.9 billion times a second until it breaks down the molecular structure of a food in a microwave, all food in a microwave breaks down very quickly. When you consume the food, your body does not recognize it as food. This is alien. This is some strange molecular something. And the body attacks it and tries to wall it off. What happens is if you put organic vegetables in a microwave oven, your cholesterol will go through the roof because your body is trying to sequester organs from this strange invader. So microwaved food, very bad idea – just the food itself, not good. Jason Hartman: I had no idea. That is really scary. Let me ask you about this one. What about heating water in the microwave like a cup of coffee? Will Thomas: Same thing. You shake the molecule apart and it’s no longer a cup of coffee. I don’t know, maybe they drank it on Nibiru but they’re not gonna drink it here or Mars or somewhere. But it’s not coffee that your body recognizes. People jump over to WillThomasOnline.net. Go up to the hot topics and you will find my article fully documented on the hazards of microwave cooking. Interestingly, if not frighteningly, cell phone and portable phone radiation or devices I should say, and many wireless devices work at the very same frequency as your microwave oven. These truly are microwave oven style gadgets that we’re holding to our heads or carrying around on very vulnerable parts of our body. Jason Hartman: Okay. Now, when we talk about the cell phone thing, at least the cell phones are very low power. I mean, what are they, a third of a watt maybe? I don’t know what they are, but they’re not very high powered. Will Thomas: They’re 5 watts. Jason Hartman: Okay, well a microwave is 1200 or 1800 watts. Obviously, you’re not holding it to your ear hopefully. But what about the power level? The cell phone companies, I’m sure what they’d say is it’s such a minute amount it just doesn’t matter. Will Thomas: That’s what they’re saying, yes. And the smart meter people are saying that and the cell phone tower people and they’re all saying that. And, you know what, they’re right. It is low power. But they’re not right if they take the next step and go “There’s no effects” because it’s low power. Actually, and you better sit down for this, low power is worse. Low power is worse. It’s more dangerous because it mimics and overrides the electrochemical signals between and inside our cells and our body and our brain cells are neurons. They’re operating at .07th of a volt. Our heart is operating at 2.5 watts. So we are overpowering our electrochemical signals, we’re jamming them if you will, with similar frequencies. So it’s not the power level that’s the problem here. It’s the pulsing. The pulsing is critical and that is the back and forth oscillations, the jackhammering oscillations. Remember, we’re talking about billions of times a second. And when you whip your double strand DNA, we’ve seen the pictures Crick and Watson did and came up with the beautiful ladder like structure of DNA. When you whip that back and forth, 2-4 billion times a second, it snaps. And single strand breaks our body can repair most of the time. Double strand breaks, Dr. Laya found in University of Washington years ago we can’t repair those. So we have a problem here with all this pulsing. And we’re continuously exposed to electro smog. Jason Hartman: So what did you mean about single strand breaks and double strand? What is that? Will Thomas: Our DNA is a double-stranded ladder. Jason Hartman: With a helix. Will Thomas: Yeah, the double helix. And it’s a ladder and that’s fine. But if you shake that ladder and twist it back and forth with cell phone or portable phone or wireless energy in the gigahertz ranger, you’re talking billions of times a second, in the megahertz range of yesteryear, millions of times a second, it snaps. This has been found in study after study after study. And when that ladder breaks, we have DNA damage that could be passed on to future generations. Jason Hartman: So birth defects, yeah. Will Thomas: Birth defects, autism in particular. Autistic people tend to pass on their genes and produce autistic children. Autism is very closely linked, among other things, to electromagnetic radiation as is ADD, asthma, all kinds of things, early onset Alzheimer’s, things that you do not want in yourself or in your family. Jason Hartman: Now, of course, I had someone on the show talking about vaccines and there’s a lot of people that claim that autism is a vaccine problem. Will Thomas: There is a strong component there with the mercury, no question about that. This is synergistic of course. If you have a chemical insult and you add microwaves or other radio frequency radiation to this insult, in will have a synergistic effect. It will greatly amplify the effect. So we are not saying that cell phone radiation is the cause of every ailment on the planet, obviously not, but we can say with some surety that it certainly triggers and exacerbates many of the ailments that are afflicting our society right now. And Sweden knows best because they were the first nation to go wireless. And if we want to see where we’re going in Canada, The United States, the rest of Europe, we just have to look at Sweden – they’re there. Jason Hartman: Well, what happened in Sweden as a result of being wireless? I mean, did their cancer rates increase dramatically? What’s going on? Will Thomas: Cancer is huge of course, and we all are “Whoa, brain cancer, I don’t want that. And that’s true. But in late ’97, Sweden put in their second generation cell phones right across the country and suddenly after a decade long decline, workers on sick leave, those numbers began to rise. In 1997, they doubled in the next 5 years. Traffic accidents declined for years, climbed again in ’97 because people’s brains were effected. They couldn’t think straight, concentrate. Their reaction time was cut down. That’s from Alzheimer’s. Declining for years, rose sharply in ’99, doubled by 2001. So now, in Sweden, we have electoral hypersensitive disorder accepted as a worker’s disability. And they’re finding a large part of their workforce is off sick with sleep disorders, chronic fatigue that can’t be cured with rest, cognitive function problems, blood problems, headaches, migraines. It’s a real health problem in Sweden and that’s where we’re heading real quick. In fact, we’ll get there quicker because we’ve come out with higher frequencies and more of these gadgets. Jason Hartman: Okay, but pardon my skepticism for a moment. So in Sweden I thought you were gonna say that the reason traffic accidents increased was because of people being distracted by the cell phone and that I could certainly see. I mean there have been changes in society, stress levels have changed. I mean, a lot of other things have changed in the world. And I know you’re not claiming that this is the only thing. I love how you put it as an insult – the insult of radiation, the insult of chemicals, the insult of hormones in the food we eat, and all of this stuff at once. And, certainly, they all add up to a synergistic problem, but couldn’t someone pick some of those things apart that you said? Will Thomas: I don’t think so, and here’s the reason why. We all know what people do in the front seat of cars while they’re driving down the road. They’ve been doing it a long time. That’s our baseline. And if you want distraction, well, we won’t get grabby, but there’s all kinds of distraction, people making their lunch, drinking coffee, putting on makeup, and doing other things in the front seat of cars. That’s our baseline traffic accident rate. The insurance companies have freaked out, literally, because insurance claims are going up 400% since people have been using cell phones. And you’re right, state governments, provincial governments here in Canada has said boy, we can’t have that distraction, so better use a hands free set, and the traffic accidents went up. Why? Because it’s not the distraction. It’s the inhibition of a damage to the insult to the brain. After 2 minutes on a cell phone, the blood-brain barrier opens, blood proteins enter the brain and start attacking neurons, brain cells. So the reaction of a teenage driver on a cell phone or anyone else for that matter will be the same as a 70 year old driver without a cell phone. The reactions of a person on a cell phone in a car are worse than a legally drunk driver. And those are findings from states and from medical boards. So this is really serious. It’s the interruption of the brain cells and the inability to put reaction times together and figure out what’s going on that are behind the car crashes. Hands-free makes it much worse because the power levels have to go up to deal with the distance of hands-free and, again, you’re in a metal cage in a car or a truck and the power level has to go up even further to get through all that metal. So the hands-free they’re finding is even worse. Jason Hartman: Now, when you say hands-free, tell us what type of hands-free. Are you talking about blue-tooth or what? Will Thomas: Well, Bluetooth I guess would not be hands-free because it’s always inserted into the ear as far as I know. And, by the way, Bluetooth was started out with extremely low power levels that would just reach across a room is now up to about 2.94 gigahertz just like a cell phone. Jason Hartman: My car, like many others nowadays, has Bluetooth built into the car itself. So I just have my cell phone in the car and it hooks in with the Bluetooth system and comes into the speakers of the stereo in the car. So is that better than holding it up to your ear? I would think so, but maybe you’re gonna tell me not. Will Thomas: I’m afraid I’m gonna tell you not. I’m gonna say they’re both really bad ideas. Yeah, your speaker’s not held to your head – that’s the good news. But the power levels have gone up maybe 10 times to produce that signal. That’s the bad news. And the Bluetooth, as I mentioned, if it’s operating in your vehicle as a cell phone would, then by definition it’s putting out roughly the same frequencies and certainly the same power density – we’re concerned with that – as a regular cellphone. So basically bad juju, they’d be running down the road with a cell phone or a Bluetooth or whatever, operating in the car, underlined especially with children or pregnant women in that car. Jason Hartman: So now what you’ve got with the Bluetooth is you’ve got not only the radiation of the cell phone talking to the tower, but now you’ve got more operation of the Bluetooth operating in your car that’s just going through the whole body of the car, right? Will Thomas: That’s right, and trying to link up with towers as it goes by, so its power level is going up and down. When it gets close to a tower, the power level drops. But as you drive away, the power level drops. But as you drive away, the power level goes back up. Jason Hartman: You mean of the cell phone, not the Bluetooth? The Bluetooth is consistent. Jason Hartman: Now, what about I’m looking at my iPhone that’s next to me and I’m getting concerned. And I got the ear buds that I listen to music on and audio podcasts like this great show. Does it help me that I’m using those ear buds and not talking with a phone in my ear and not using Bluetooth? I mean that’s not Bluetooth. Now, one person, they said that cord actually carries the radiation and other radiation in the air right into my ear. Will Thomas: Unfortunately, you just answered your own question there. That’s exactly what happens. Now here’s the catch. Depending on how that wire is draped across your body, straight down is the worst. There are some ways it can lie where it does reduce the emission from your phone into your ear, but we don’t know what that is and it changes with each phone so you’re really playing roulette. But basically, when the wire’s hanging down or down-ish, you are channeling that energy right into your ear. But you’re doing more than that. You are picking up all of the ambient electromagnetic radiation in the area from the TV tower and the FM tower you just passed and the radar installation and on and on. You’re picking all that up – the wire becomes an antenna and it channels that right into your ear. So, unfortunately again, states are saying, okay, you’ve got to have hands-free, you’ve got to have a headset. In Europe, they’re telling manufacturers you’ve got to sell a headset or an ear bud with your wireless device or we’re not gonna let you sell it. Well, that’s really not helpful. We appreciate the intention, but in fact the problem is people think they’re safe and they’re not safe. The second problem is, and I’m very concerned about this, the more we use these things and the more we try to protect ourselves from the radiation individually, the more towers have to be built and as the Wi-Fi spectrum becomes completely jammed as it is now, the Telecom people are rolling out WiMAX, which is Wi-Fi on steroids, very high power density levels, increasingly high frequencies, piggybacking signals. And it’s the data, the information on the signal, the so-called modulation, that is extremely harmful. So the more text messages and the more video clips and the more music you’re trading back and forth wirelessly, the worst these exposures for everybody, including people like me who don’t want to use these machines. We are still exposed just like people were to second hand smoke. And this is going the same way as the tobacco companies – they’re using the same advertisers after all – but the results are gonna be even more horrific. Jason Hartman: Well, that’s what I was just about to mention. So even if one listening gets fearful of this and say I decide to stop using a cell phone and go back to the pre-1986 dark ages when I got my first cell phone for $3200 mind you. Will Thomas: Oh, my goodness. I remember those. They fit in a trunk. Jason Hartman: Well, yeah. It was portable but it weighed 14 pounds. And I was just a kid in the real estate business and I bought a cell phone. I financed it. But back then it was special because it was really cool to have a cell phone. But nowadays everybody’s got one. Will Thomas: I certainly don’t want to frighten people to the point where they’re stressed out because stress is the very worst health hazard you could encounter, much worse than occasional exposure to this stuff. However, I do hope that we are taking it back a notch and at least alarming people enough that they will go to library and get out some books on the subject and just check it out, especially if they have children who are very, very vulnerable, especially vulnerable to these very addictive technologies. And we have to step back. Now, this isn’t William Thomas saying this. Who’s he? Well, the National Research Council of Canada says that electromagnetic radiation could well be the health hazards of the millennium. That’s a quote. Dr. Devra Davis, she wrote Disconnect. That’s a new book. People can pick that up. The most important unrecognized public health issue of our time, she says look out, we’re gonna have a global catastrophe. This is a doctor. Doctors usually don’t talk like this unless they’re really shaken up. We have Dr. Khurana, Professor of Neurosurgery, 100 studies published on mobile phones, a top expert in the world, his conclusion after all of this, stop using mobile phones. So the consensus medically is these are a bad, bad thing at the levels we’re using. Jason Hartman: Yeah. So here is the problem though, what I was gonna mention a minute ago. Say I stop using one. I still got all this radiation all around me. I can’t get away from it unless I’m gonna go live in the sticks. I mean what do I do? What can people do to protect themselves? Jason Hartman: I got two questions for you. I want to shift gears and talk about some of your other topics. But I got two questions here. Number one, what can people do to protect themselves against the radiation? And number two, how and why is this being suppressed? I mean I think I know why – it’s the mighty dollar. But those two questions? Will Thomas: Very good questions. First of all, it’s tough. Most of us live more inundated with these energies from all kinds of sources. We don’t have direct control over many of them. My attitude in life is precautionary principle, avoid what I can and bless the rest and carry on with my life because being stressed out over this stuff and exposed to it exacerbates the damage. So individually, we just say I don’t want these devices. Interestingly, they’re winning court cases in Europe against employers that say you’ve got to be available 24/7 with a cell phone, and people are winning court cases saying no, these things are radiation devices. That’s the big word of our entire conversation today, radiation. And now the courts are saying you don’t have to expose yourself to this. We get rid of our wireless router on the computer, portable phones worse than cell phones – that’s like having a cell tower in your home. So bye-bye portable phones and we clean up our own homes as much as possible and we don’’t let the utility company under any circumstances tack a smart meter under the wall of our house. So locally, we push back and we join with our community and we keep the towers out of our neighborhood. And if we have towers in the neighborhood, we get together as a community and we get them out of there. So we do what we can locally, individually and in our neighborhood. And that’s a good start because if more people do this, and they certainly are in Europe and parts of the USA, this will catch on and it will start to have an impact. Jason Hartman: And so we didn’t really address that specifically, but you also really do not like the idea of smart meters. And smart meters are these electrical meters and other utility meters that go on our house and they operate off a cell phone signal, right? And so that’s another radiation source. And I also have some other philosophical problems with smart meters and other ways of controlling my energy like the government deciding what the temperature of my house gets to be. Are you kidding me? This is insanity. Will Thomas: They’re finding out what appliance you’re using and when you’re using it. Jason Hartman: Talk about big brother watching you – I mean that is just so wrong. Will Thomas: Quickly, with smart phones, one of the issues is you have cell phone radiation. We’ve just discussed in broad strokes why we don’t want that around our bodies and our families and children, but it will jump into your water pipes and your wiring in your house, these pulses from the smart meter, that will collect an aggregator in the neighborhood, will collect all of the impulses from the smart meters in the area, and push those out toward the utility company. So whatever house that aggregator is attached to will have much higher levels. All of the houses with steel electric ranges, refrigerators, reflective surfaces in the house, will amplify the smart meter signal. So this is mass sterilization for one thing, brain damage, just ill health in general. People are up in arms in Ontario and California and Maine, you name it. Jason Hartman: Sterilization? Does radiation sterilize both male and female? Will Thomas: Well, most of the work has been done on males, particularly males who carry cell phones on their waist, but women who carry them there also are experiencing problems becoming pregnant. And people who just simply live in the vicinity of cell phone mass, and there’s many of them in India, and they’re having a major drop off in pregnancies from people living near these towers because it kills and distorts sperm and you can’t normally conceive as you would in a clean environment. So those aspects are very high and very scientifically well connected to this radiation. And, again, that’s the operative word because whether the radiation is coming over to you from Fukushima – and I’ve written quite a bit about that – we should be concerned about that – the radiation from the wireless router by your computer or your portable phone cradle in your living room has the exact same effect on a cell. Although it’s different kinds of radiation, the effect on the human cell is the same and the cell fragments and streams these fragments called micro-nuclei and those are the markers for cancer. And those markers are used at Chernobyl and they are used for cell phone radiation, same markers. 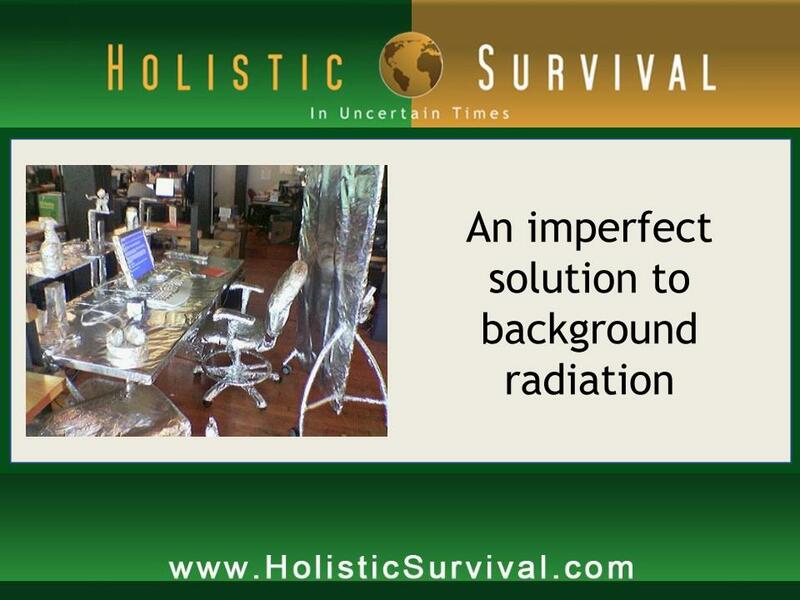 So radiation is radiation and we don’t care to have this artificial radiation in our environment. Jason Hartman: So any more thoughts on what one can do to protect themselves? Will Thomas: Okay. So individually we divest ourselves of these wireless gadgets that are apparently convenient and very addictive. Jason Hartman: Just let me tell you the stat on that, what it’s gonna be here. 1/10th of 1% of the listeners will actually do that. Will Thomas: That’s true. I do these shows because I think maybe I’ll save a life. And once in a while I’ll get an email and somebody says, you know what, I heard you on the radio and I went to my daughter and I took the phone away. It was a bit of a struggle, but I explained why and we’re gonna try that for a while. And that makes me feel really good when we can protect the children, pregnant women who don’t have wireless laptops on their lovely bodies and aren’t using wireless phones and aren’t doing ultra-scans and really assaulting the child in their body. If someone like that is listening and says, wow, I better take another look at this. And I don’t smoke and I stopped drinking while I’m pregnant, well we stop doing microwaves as well. So that’s what I’m hoping for. So if we get a few people to do that, it won’t change the world but it might make a huge difference in their lives, a huge difference. Jason Hartman: So cutting it out of one’s life is a way to protect oneself. I mean you’re not gonna recommend a shield or a gismo that you can use or a certain kind of case or cover or anything like that? Will Thomas: No. The problem, as I like to say in my lecture and demonstrate as well, if your cell phone shield works, your cell phone won’t. So if the shield blocks the radiation, your phone won’t work, and if the phone’s working the shield is a hoax basically. You can get pouches that might protect your body, but you can’t get anything that will surround the phone and block that radiation because the phone won’t work. Jason Hartman: Yeah. That makes total sense to me now. What about all these multi-level marketing guys that are out there selling a little sticker that goes on the back of your phone that looks like a piece of metal. Will Thomas: The FCC has sued people like that. It’s in my book. They said these things are junk, they do not work, and this is false advertising and they sued them. The US government’s gone after them, not because they didn’t want people protected but because it was a hoax. Again, we can go to an air tube which is a headset without a wire and that will not conduct electricity into your head. That sounds very good, depending on where the phone is located. Again, and I have to emphasize this, the more we think we’re protected, the more we’re gonna use these gadgets, and more and more are coming out daily, and the more society as a whole is going to be inundated by this radiation. And, again, it’s not just cancer or chronic fatigue. It’s brain wiping. And doctors and researchers that I am studying all say children growing up on these, 8, 9 12, 14 year old kids, by the time they’re 30 years old will be functionally senile, unable to function in society. They’re having trouble right now functioning in society, putting thoughts together, understanding, comprehending. By the age 30, we’re going to have a brain wiped population, and I mean that literally. And then the cancers will kick in, just when we need our wits about us as all the other challenges come crashing down on us that we’re dealing with and see in the headlines every day. Jason Hartman: So the government’s attempt to dumb down the population has been achieved by private enterprise. Will Thomas: I think inadvertently, but you’re absolutely right, have achieved that and it makes me nervous because the generals and the business managers and the President of the United States are all using this technology too. So that doesn’t make me feel better. I mean they’re not hoisting it on us and not using it themselves, everybody’s addicted to this stuff. Jason Hartman: Well, it’s incredibly convenient. One other question I had is this sort of conspiratorial aspect to this – which I almost hate to use that word – it’s just people trying to make money and companies that want to be enriched and they want people to keep using the technology. Just talk to us for a moment if you would about the oppression side. The tobacco companies forever said cigarettes were okay and that they weren’t addictive at least. And there’s been varying degrees of BS out there. What’s going on in the electromagnetic radiation category? Will Thomas: Okay. By contrast, let’s jump overseas. France has just come out – Europe has the big studies. The Bioinitiative Report looked at 2000 clinical, medical, scientific studies on these hazards, spanning decades. We knew this was a problem in the 1950s. The US military knew it was in the 60s, 70s. So this Bioinitiative study looked at all of them and said this is really bad and this is why, so Europe’s going oh this is bad. The Freiburg Initiative in 2002 signed by 3000 German health professionals and doctors implored the German government to restrict cell phones and to ban outright portable phones. Well, now we have France in the last few weeks saying, okay, no more wireless in public libraries. No more wireless in schools. And maybe kids under 12 shouldn’t be allowed to have these. Britain is already saying the same thing. Israel says that you have to have very strong warnings that come up on your phone every time you turn it on, no advertising to children on and on. Spain is enacting legislation, Austria very tight limits now to radiation coming out of Salzburg, Austria – the new levels – Italy passing laws. And here, in The United States and Canada and North America, we hear nothing about the uproar in Europe and we hear very little about the dangers. And if we are told about dangers, it’s done in such a way to be confusing and contradictory so we’re not sure what to believe. But, in fact, your top researchers Lai, Neil Cherry, George Carlow, the list is very, very long. All of them, Ole Johansen, I mentioned him earlier in Sweden, every single one of them without exception, has lost their funding and basically lost their laboratories once they publicized findings on the real dangers of wireless devices. So there is a pogrom, if you will, to suppress scientific descent, not just people out in the street but scientists, experts in the field who have dedicated their lives to studying this – they’re all being turfed out – so that today in The United States of America you have zero – none – independent researchers looking into this where you have all kinds of them in Europe. Now, you’re talking 4 trillion dollars here, $4 trillion dollars here. $4 trillion dollars is the latest figure I’ve gotten for this industry. Jason Hartman: It’s a $4 trillion dollar industry? That’s incredible. Folks, I know a billion ain’t what it used to be, but we’re talking $4 trillion dollars. Now, is that just the wireless phone industry or you’re probably counting Wi-Fi, all wireless devices of any sort, right? Will Thomas: It’s called $4 trillion dollars a year in the wireless industry, and that’s from the International Telecommunication Union. That’s a lobby group for the industries. So that’s their number. Your text messaging, which is completely addictive, you can’t speak to your own children without texting them it seems. $100 billion dollars, $100 billion for text messaging alone in 2007, nearly 2 billion people, 2.8 trillion text messages a year, 92,000 text messages sent every second of every single day around the clock and that was in ’07. So it’s bigger than big. You’ve got nearly everybody on the planet, much more than 1 in 5, have a cell phone subscription. Jason Hartman: That’s incredible. This is an amazing thing – it really is. I had no idea it was this big an issue. You’ve got some other interesting topics you talk about and we’re gonna just run too long if we jump into them. Would you be willing to come back on a future show to talk about some of your other stuff and maybe just tell us what your other works and books are about? Will Thomas: Okay. I’m the journalist who broke the story on chemtrails in 1998 for Environment News Service. I’ve written the most authoritative book on the subject, Updated. It’s available on the website as well as articles on the subject. Simply chemtrails, US military, spraying sunlight reflecting chemicals over our heads, primarily to do with climate change – it’s not helping, it’s a disaster, also has military applications. So I’m very concerned about chemtrails. And they do interact of course because they’re sprayed to conduct radio energy. They do interact and amplify cell phone and wireless frequencies. So I am concerned about that. Jason Hartman: So those two are interconnected, wow. Will Thomas: They are. According to Dr. George Carlow, one of the world’s experts, he actually used that word chemtrails in an email to someone saying that these things exacerbate other insults to our physical systems. Jason Hartman: And what about the political issues and terrorism? Will Thomas: Well, I wrote the first book on 9/11 called All Fall Down: The Politics of Terror and Mass Persuasian was published in October of that year, ’01, and was asked by my publisher to update it some years later and I couldn’t. I had to write a brand new book and that’s been out a couple of years now. But it’s very topical. It’s still one of the very best sources and I know there’s a lot of books out there on the subject. But this is, again, investigative journalism, no agenda here, just facts please. And that book is Days of Deception: Ground Zero and Beyond and it takes us like a novel with the people on the airplanes, people in the towers, the rescue people. It’s a very exciting story, a heartbreaking story at the same time but goes beyond 9/11 to the ramifications in Afghanistan, Iraq and on the world stage. Jason Hartman: Excellent. Well, very interesting. We’d love to have you back to talk about these things on a future show – really interesting topics. William Thomas, thank you so much for joining us today. Give out your website one more time if you would. Will Thomas: Thank you, Jason. It’s WillThomasOnline.net. Jason Hartman: Excellent. Well, thanks so much for joining us today.